India vs Australia 2019 ODIs & T20Is: With the World Cup slated later this year, there are spots which remain up for grabs for the Men in Blue. India vs Australia 2019 ODIs & T20Is: With the World Cup slated later this year, there are spots which remain up for grabs for the Men in Blue. The Indian cricket team is suffering from a problem of plenty and that is a good headache to have. Recently, chief selector, MSK Prasad said that Ajinkya Rahane and Rishabh Pant are both in the reckoning after he confirmed that former skipper MS Dhoni is here to stay. It is clear that the team is looking to try all permutation-combinations ahead of the marquee event. 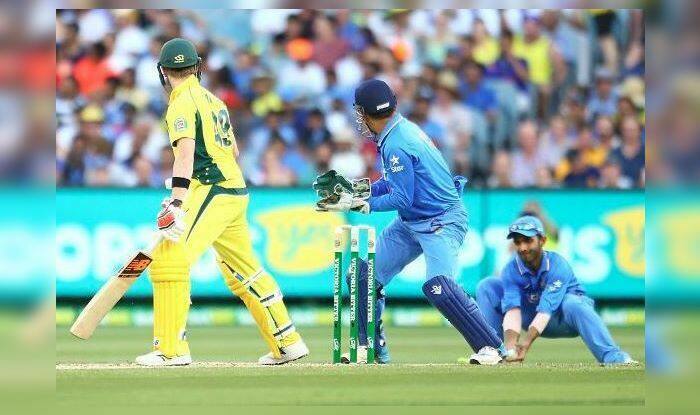 This upcoming India vs. Australia series (2 T20Is and 5 ODIs) will be the last international assignment – the last comeback opportunity for renowned players just ahead of the ICC World Cup 2019. KL Rahul: Going by the whispers doing the rounds, it seems Rohit Sharma is going to be rested and KL Rahul will get an opportunity to open with Shikhar Dhawan. If that is the case, Rahul needs to get among the runs. He has not been half the player he is during India’s Down Under tour. To make things worse for Rahul, he was suspended for some unwarranted off-field controversies. Ajinkya Rahane: The Mumbai-born has not been a part of the limited overs mix and now by the looks of it he will get the last chance to prove his worth ahead of the World Cup. He last played an ODI back in 2018 February. India is still having a problem with the No 4 and 5 spots and Rahane if in good touch can easily grab that spot. He is a classy player and needs runs under his belt to make a strong case for himself. Rishabh Pant: The young wicketkeeper-batsman has impressed fans with his stellar show Down Under. He is looked at as a pure batsman for the World Cup. But as a pure batsman, he needs to do more to convince the selectors ahead of the World Cup. He has the potential to do that and is an exciting prospect for the future of Indian cricket. Considering Dhoni has hamstring issues, he could make the squad as the reserve keeper. Vijay Shankar: The allrounder was picked as the replacement for Hardik Pandya, who got suspended. He was decent in New Zealand and showed promise that he could play at the highest level. Though he was never given a chance to bowl by Rohit Sharma, he did impress with the bat on almost every occasion. Virat Kohli and co. do understand the importance of fast bowlers in English conditions, an all-rounder no less. Should he continue to impress in the upcoming series, we could see Vijay Shankar board the plane to England. The upcoming India vs Australia series is a great opportunity for team management to have one very last look before they announce India’s 15 member squad.